Planning - What Will I Need? The Joyful Heart Character Curriculum continues the learning from the Joyful Heart Bible and Rhyme Curriculum. 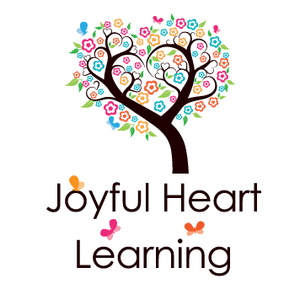 There are a total of 38 planned weekly lessons in the Joyful Heart Character Curriculum, designed to be used during a typical school calendar year (August through May). Each weekly lesson is arranged so it can be used over the course of four days. Children should have a firm grasp of letter recognition and know most of the corresponding letter sounds before beginning. Each weekly lesson will have a focus letter for review, introduce a new sight word, and introduce or review a short vowel word family. The reading portion of the lessons build upon one another and should be used sequentially. Each weekly lesson is based on a character trait. One character trait is studied each week and is discussed through Bible stories and related verses from the Bible. Crafts and story books are used to further emphasize the character trait. Review weeks are built in to allow for review of all aspects of the curriculum and to build in opportunities to work with seasonal concepts and activities. Note: If you are only interested in using the Character Trait portion of the curriculum, just print the character trait tune charts (double sided), grab your favorite Bible, and you will be ready to go ! The character trait definition, suggested Bible memory verse, related verses from Scripture, Bible story references, and the character trait song are on the Character Trait Tune Charts. You could then, also, choose the order for the traits and not be dependent on the scope and sequence chart. A list of Suggested Books to use with this curriculum for the entire year. The following links will take you to a Daily Plan Sheet, samples of activities, and free printables for each week.